So you’ve probably seen one of those commercials on TV where the template website companies talk about how simple and easy it is to get a website. They show you slick examples of good looking sites and try to sell you on the idea you could do it yourself. If you’ve bought into that idea, it probably didn’t take long to realize that it’s not that easy, and getting a good looking website made yourself is really not possible in most cases. If any of those points are you, then keep reading. I’ll call the next points the Triple D’s of Websites. Hopefully you’re thinking more Food Network than Female Attributes. The first step is your domain name. This should be pretty obvious, and chances are you already have a bunch of experience with this. If you’ve visited a web page in the last 15 years, you know what a domain name is. A domain is basically a text way to get to your websites IP address. When someone types in www.yourdomain.com, the servers will convert that name to its IP equivalent and send the traffic to that address. Kind of like the address of your house. I’m not going to get into all the details about that because it’s not crucial for you to know. What you need is a domain that people will remember. I have made the mistake several times and purchased domains that I thought were cool, or were variations on spelling of words. The problem was, not everyone thought they were as cool as me, and usually then required me to spell my domain everytime I gave someone our web or email address. Here are 4 tips for purchasing your domain. 2. Make every attempt to match your business name, or shortened version of it. 3. Consider buying multiple domain extensions (TLDs), the .com, .org, .net if they are available. 4. You can have multiple domains all pointed at the same website. Here is a link to a great place to buy domains for your business or organization. Pricing is very competitive. It’s one of our sister sites and even though it says church websites, anyone can buy there. The next step is hosting for your website. This is basically space you purchase from a provider that stores your website files and then provides the avenue for displaying those files to your visitors. It’s kind of like renting a parking spot in the city. This is also where some of those free and easy template sites break down. While yes, the site might be cheap, you’ll lose in the space available or the bandwidth your visitors can use. If you’re site gets too much traffic, they will slow it down and it will take a long time to load (no bueno). Get a self-hosted plan and you will have the freedom to do what you want. When you contract a professional service like ours, we do all the ongoing work for you so you won’t have to mess with it anyway. Hosting is pretty simple, just something you need to put your site files where people can access it. What might be the most important piece of your site and where most people doing it themselves fail. The design & development of your site is crucial for the experience the visitor will have when they search for your website. Studies have shown that the average user will form their perception of your company within the first 7 seconds of landing on your website. That’s a lot of pressure. If you’re using a slow host, your site may not load in 7 seconds. If it does load fast, what does the new visitor think. Does your site have a professional layout and design? Are the colors complementary and match your brand? Can they easily find your contact information or easily find what you actually want them to do when they visit (more on this here). Just having a site is no longer enough. You have to put some effort into the overall design, look, layout and user experience. The days of your website being a glorified brochure are over. Today’s websites need to have strong calls to action and be useful to the business owner to generate leads and new business. Hopefully this gives you a basic understanding of what you need for your business website. Hopefully we’ve shown you that just hiring little Timmy down the street to build your website is not enough. 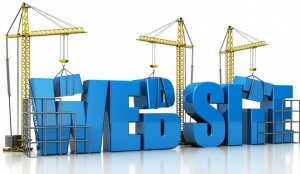 You need a professional company with experience and expertise in building awesome websites to work for your business. If we can help to build a great business website for you, get in touch with us today.